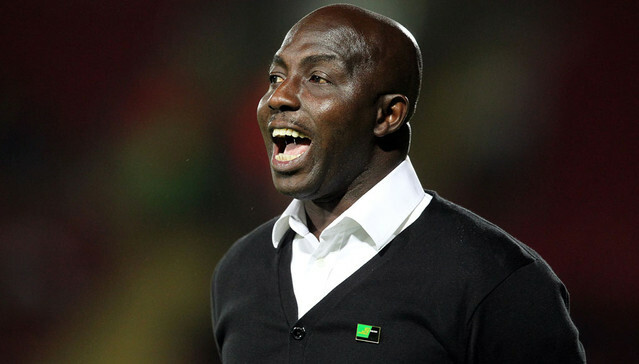 Dream Team VI head coach, Samson Siasia has raised an eyebrow over the financial problems troubling their preparations for the upcoming Rio 2016 Olympics in Brazil. “We don’t have money. We are in the (United States of ) America now without any money. So, it is a big problem. We are without any money in our pocket. There are no funds coming from anywhere. That is not a good thing. “When you have players who are not motivated and encouraged, but you want them to come and do a miracle. Everybody needs to be encouraged at one time or the other,” he further stated. “The sports sector is dying and it is adversely affecting the Olympic teams that have qualified to represent Nigeria at the Rio Olympics Games not just football, but the other (seven) sports ‎that Nigeria will campaign in in Rio. The reason is well known which is the sports ministry needs to be funded adequately. This has adversely affected the Nigeria Football Federation too. Everybody is borrowing. “This has to stop. President Buhari has to help us by approving some funds for our Olympic teams toprepare well. If the funds are not there, how are you going to prepare to win gold?” he concluded.